The Maine Field Office of U.S. 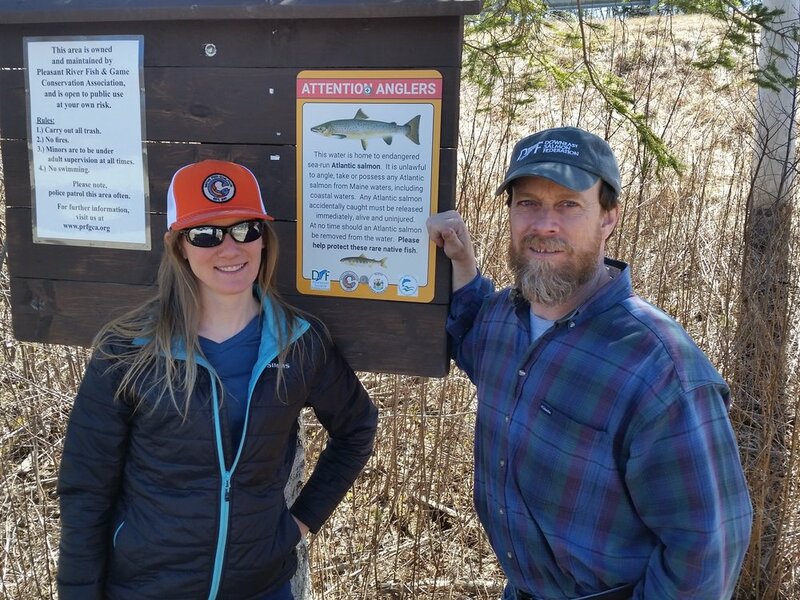 Fish & Wildlife has recognized and posted the informational Atlantic salmon signs ME NFC partnered with Downeast Salmon Federation, Atlantic Salmon Federation, and Maine Department of Marine Resources to develop. ME NFC Chair Emily Bastian and Downeast Salmon Federation Executive Director Dwayne Shaw.